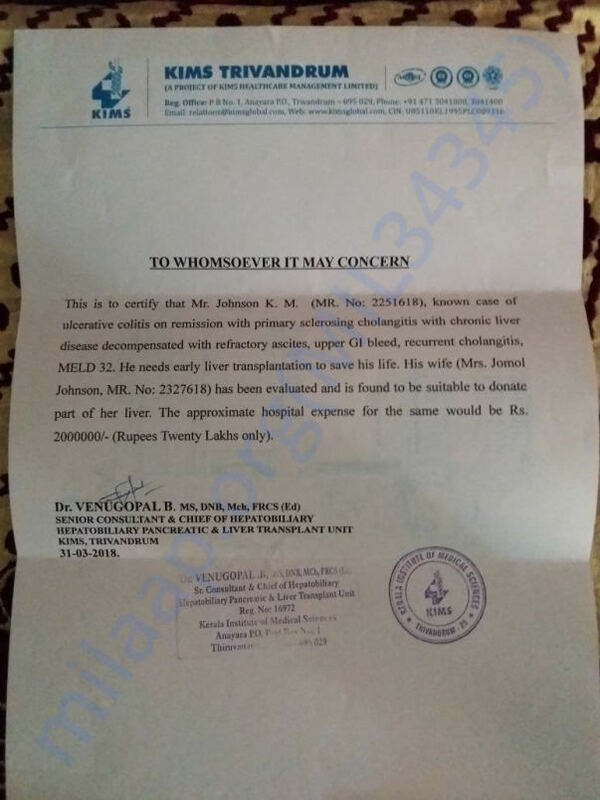 I humbly request you to assist, if possible, Mr. Johnson Keezhangattu (43 years) who has to undergo a liver transplantation at the earliest. 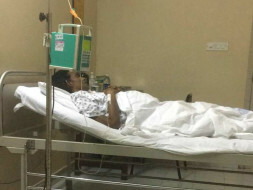 At present he is in KIMS Hospital, Thiruvananthapuram for the preliminary checkup with his wife, who is the Donner. He is from a poor family who has to take care of his wife, two children having 10 and 7 years of age and his father who is bedridden. As the information given it costs Rs. 18,00,000/- (eighteen lakhs) only for the operation and further Rs. 22,00,000/- for four years of continuous treatment. We humbly request your earnest prayers and your contribution towards the speedy and steady recovery of Johnson. Johnson is currently admitted in KIMS Thiruvaanthapuram.